Stevens: Tell Baker that I told him all that I know already and I want to live in peace, understand? That it's no use to go on tormenting me! I know nothing at all about that case of coins. The additional 14min in the original version (Italian release, then DVD bonuses) are only transitions scenes, heavily depicting the gloomy war background. While Tuco enjoys his railroad trip (with Corporal Wallace), Sentenza and Blondie are on their way to the cemetery. They stopped for the night by a river. Strangers show up, Blondie shots one and then learn they're Sentenza's henchmen. There are 5 new comrades plus Sentenza. Blondie: "6 - the perfect number." Sentenza: "I thought 3 was the perfect number." Blondie: "Yes, but in my gun there's room for 6 bullets." Q: Should I watch the other two films first before "The Good, the Bad and the Ugly"? Q: What are the words heard in the main theme song? For a girl who doesn't enjoy westerns much, this was one of the greatest films ever! 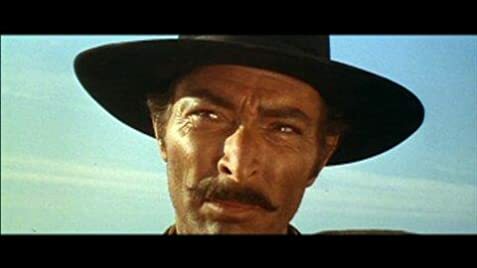 Gosh, The Good, the Bad, and the Ugly, I finally saw this film! Who hasn't heard of it? First off, may I say that Clint Eastwood... what a hottie in his day! :D Sorry, had to get that off my chest. Sergio Leone from what I understood was a huge western film fanatic and in the 60's pretty much most folks had moved onto other genre's. I mean, I would agree that most western's are pretty much the same and stereotypical. Sergio however took a story and added some elements to it such as comedy, drama, and war. The story flows so well and just compliments all of it's characters. By far my favorite character was The Good, played by Clint. He is a bounty hunter who captures The Ugly numerous times just to free him before every hanging and splits the winnings with him. When they learn of a coffin in the desert that has $200,000, they go for it. Of course we have the Bad who is a ruthless killer who also wants in on the doe. 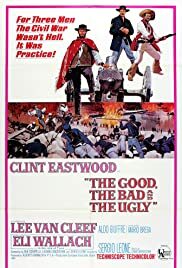 The Good, The Bad, and The Ugly is a terrific film and I thank all the IMDb users for their useful comments and that pushed me to finally rent this western classic. Let's give it up for Sergio! 102 of 120 people found this review helpful. Was this review helpful to you?